A wonderful gift for any child at any time of year! Seven-year-old Melinda Carson hopes to keep herself awake until the wee hours of the morning on December 25 to make sure that she sees Santa. She's waited every year, but this year she makes it! Santa's arrival is witnessed! And furthermore, she gets to talk with Santa himself! And that's when things get interesting. For among the things the two discuss is Melinda's unexpected question: "Who is your God?" She tells of the classmates at her school, some of whom pray to Allah, some to Jehovah, some to The Lord, some to Yahweh, some to Krishna. . .and she asks, "Santa,which God do you pray to? Which God is the real God?" 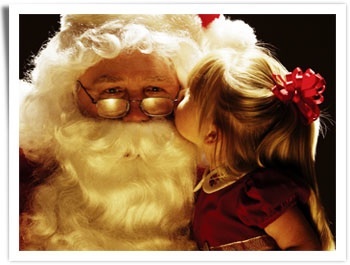 Santa's answer brings the world a message that will warm the heart of every person who hears it. Here, in a remarkable story appropriate for every child and every family regardless of spiritual tradition, is a breathtaking insight that will be remembered every holiday for years to come. Destined to become a children's Christmas classic, Santa's God is written by seven-time New York Times bestselling author Neale Donald Walsch, with the whimsical drawings of children's book illustrator Em Claire.